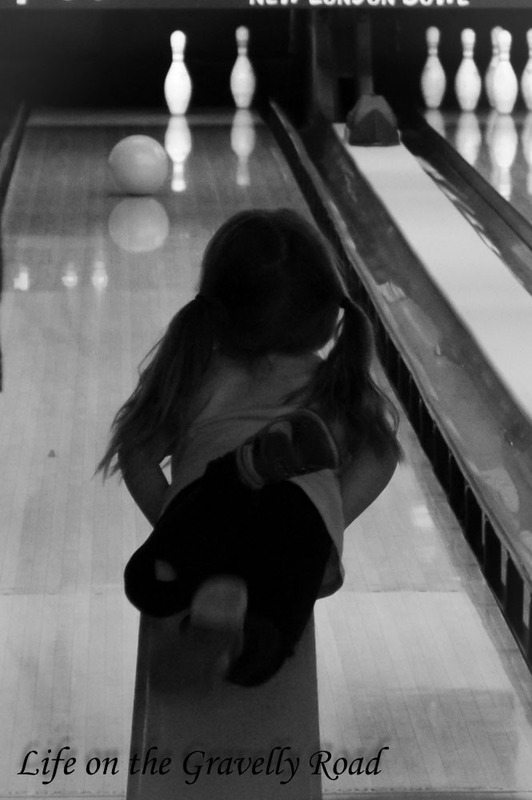 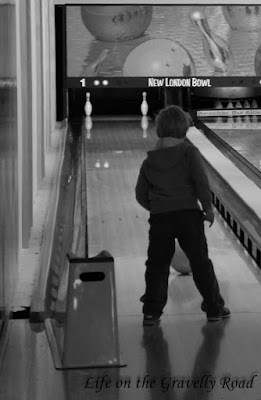 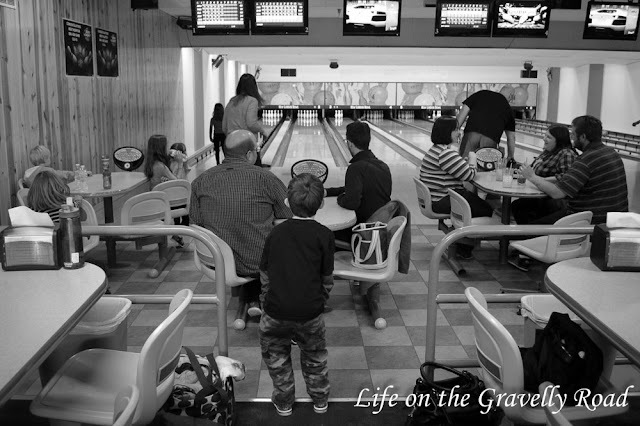 Our family had fun on Saturday bowling with a group from our church. It was fun to have all the kids on a lane with bumpers and the ramp. The adults had a chance for a bit on conversation and a lane to ourselves. Of course there was lots of cheering and high fives. 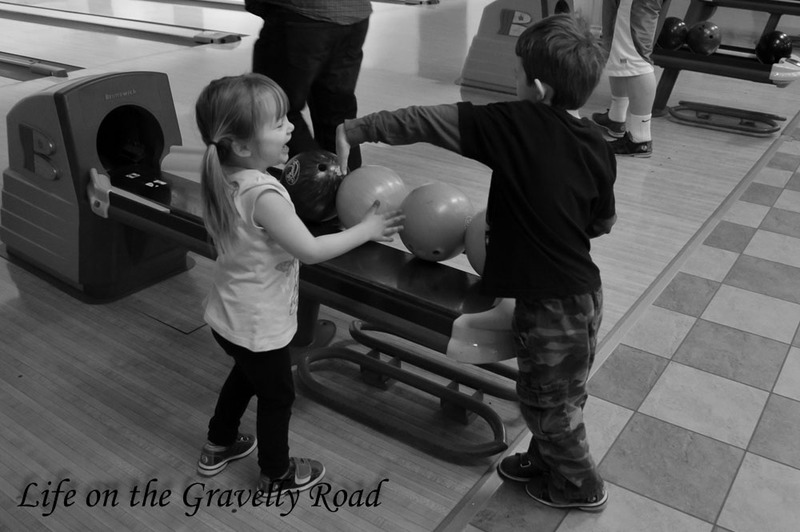 A fun family outing from our home on the gravelly road.